Our Potassium Gluconate supplement provides high-quality potassium encapsulated within a vegetarian shell. Potassium is an essential mineral that contributes to maintenance of normal blood pressure, muscle function and the nervous system. It can be found naturally in bananas. Our Potassium Gluconate supplement comes in the form of a vegetable cellulose capsule. This enables us to offer a supplement that does not require any unnecessary chemicals, excipients, binders or unnatural fillers. A vegetable cellulose capsule is designed specifically to break down naturally within the acid of your stomach, ensuring that the nurtrients are absorbed during digestion. 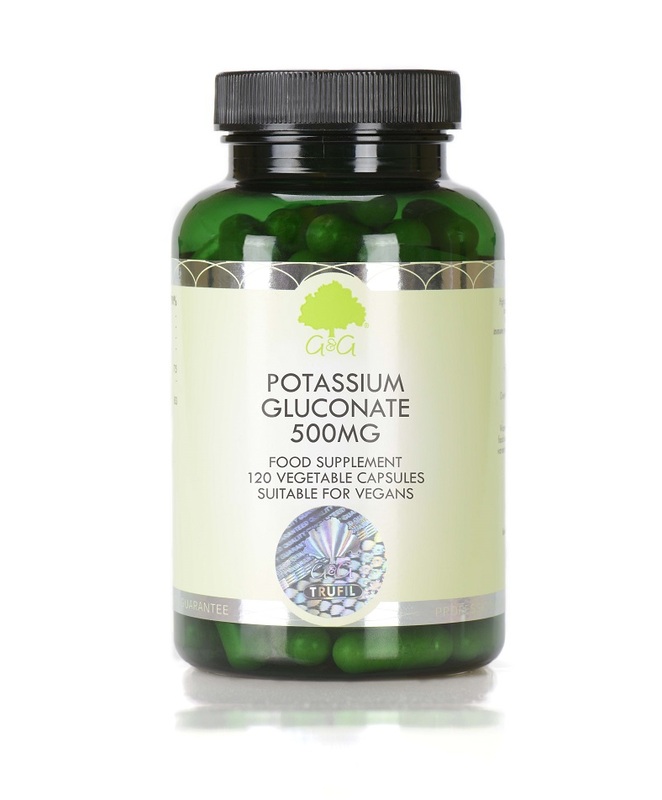 Our Potassium Gluconate supplement is suitable for vegetarians and vegans. It is also approved kosher and does not contain any allergens. Potassium gluconate 2000mg provides 333.6mg of elemental potassium. Take 4 capsules daily with a main meal, or as directed by a healthcare professional. I got very fed up of trying to make up rehydration drinks for running using cheaper potassium supplements -- potassium chloride made me feel sick and potassium gluconate tablets are full of stearates and fillers that generate really unpleasant scum and residue. The G&G capsules empty easily, the potassium dissolves fine, it doesn't taste bad and it does the job great. Also useful emptied into soups, casseroles, non-dairy milks, smoothies etc if you need to boost potassium intake and don't want to swallow the caps.